A classic, chromatic tuner that senses your instrument's vibrations and allows you to tune quickly and accurately. 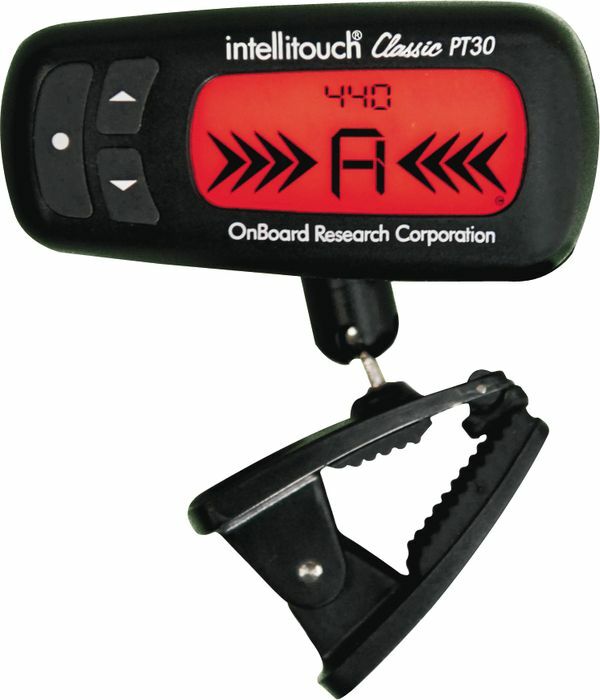 Intellitouch changed instrument tuners forever in 1997 when it introduced a new concept that opened up possibilities for musicians as the world's first tuner that clipped onto an instrument and sensed its vibrations, instead of using a microphone or required a cable to plug in. It's designed for electric and acoustic guitars, basses, violins, banjos, mandolins and more!